This Mid-Weight block is easily stored in our optional holder that is ready to mount to your press. These blocks are also available with our electrical power cut-off system, adding safety to your press and for your employees. The size and weight makes it very easy for them to move the block assembly into and out of the press area. End caps can be added for additional stability and safety, where room permits. End caps are designed to prevent damage to safety press blocks that might reduce effective tonage rating. These caps are strongly recommended. These Mid-Weight models can normally be shipped within 48 hours A.R.O. NOTE: This is a customized product and is not returnable. There is a 2-3 day lead time after receipt of order. Please contact us if you have any questions regarding the suitability of this product to your application. Choose between 6" - 6.75" Middle-Weight Fixed Length Safety Block with End Caps. 110 Ton Maximum Sta.. Choose between 7" - 7.75" Middle-Weight Fixed Length Safety Block with End Caps. 110 Ton Maximum Sta.. Choose between 8" - 8.75" Middle-Weight Fixed Length Safety Block with End Caps. 110 Ton Maximum Sta.. Choose between 9" - 9.75" Middle-Weight Fixed Length Safety Block. 110 Ton Maximum Static Load Capac.. Choose between 10" - 10.75" Middle-Weight Overall-Fixed Length Safety Block. 110 Ton Maximum Static .. Choose between 11" - 11.75" Middle-Weight Overall-Fixed Length Safety Block. 110 Ton Maximum Static .. Choose between 12" - 12.75" Middle-Weight Overall-Fixed Length Safety Block. 110 Ton Maximum Static .. Choose between 13" - 13.75" Middle-Weight Overall-Fixed Length Safety Block. 110 Ton Maximum Static .. Choose between 14" - 14.75" Middle-Weight Fixed Overall-Length Safety Block. 110 Ton Maximum Static .. Choose between 15" - 15.75" Middle-Weight Fixed Overall-Length Safety Block. 110 Ton Maximum Static .. Choose between 16" - 16.75" Middle-Weight Fixed Overall-Length Safety Block. 110 Ton Maximum Static .. Choose between 17" - 17.75" Middle-Weight Fixed Overall-Length Safety Block. 110 Ton Maximum Static .. Choose between 18" - 18.75" Middle-Weight Overall Fixed Length Safety Block. 110 Ton Maximum Static .. Choose between 19" - 19.75" Middle-Weight Fixed Overall-Length Safety Block. 110 Ton Maximum Static .. Choose between 20" - 20.75" Middle-Weight Fixed Overall-Length Safety Block. 110 Ton Maximum Static .. Choose between 21" - 21.75" Middle-Weight Fixed Overall-Length Safety Block. 75 Ton Maximum Sta.. Choose between 22" - 22.75" Middle-Weight Fixed Overall-Length Safety Block. 75 Ton Maximum Sta.. Choose between 23" - 23.75" Middle-Weight Fixed Overall-Length Safety Block. 75 Ton Maximum Sta.. Choose between 24" - 24.75" Middle-Weight Fixed Overall-Length Safety Block. 75 Ton Maximum Sta.. 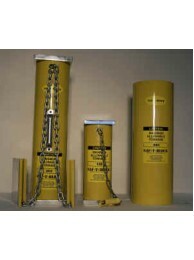 Choose between 25" - 25.75" Middle-Weight Fixed Overall-Length Safety Block. 75 Ton Maximum Sta.. Choose between 26" - 26.75" Middle-Weight Fixed Overall-Length Safety Block. 75 Ton Maximum Sta.. Choose between 27" - 27.75" Middle-Weight Fixed Overall-Length Safety Block. 75 Ton Maximum Sta.. Choose between 28" - 28.75" Middle-Weight Fixed Overall-Length Safety Block. 75 Ton Maximum Sta.. Choose between 29" - 29.75" Middle-Weight Fixed Overall-Length Safety Block. 75 Ton Maximum Sta.. Choose between 30" - 30.75" Middle-Weight Fixed Overall-Length Safety Block. 75 Ton Maximum Sta..